The program fee includes housing in a Spanish homestay or in an apartment. Living with a homestay family is the best way to immerse yourself in the language and culture of Spain and many students choosing this option find that it is the most rewarding part of their time abroad. It is the best way to learn Spanish, get a unique insight into the culture and integrate into the local community. Each family is unique; you may live with a retired couple whose children have left home, a divorced or widowed woman with children still living at home, a married couple with children or a family with some older children still living at home. Students will have their own room. You will receive a weekly laundry service. Meals: The homestay option includes two meals per day with your host. Students can opt to live in a fully furnished apartment in a centrally located neighborhood of Madrid. Apartment living is ideal for students who like their independence, want to cook for themselves and to experience city life. Apartments are generally shared with 3-4 other AIFS and/or non-AIFS international students in a shared double room with access to a communal kitchen, living area and bathroom. Single rooms are available for an additional fee. Coin operated laundry facilities are available. Meals: Apartment students receive a meal allowance of $800 to subsidize the cost of groceries and meals. Apartment students can choose to opt out of the meal allowance and pay a reduced program fee of $12,695 for the Hispanic Studies, Spanish Plus or Internship Programs or $13,495 for the Integrated Studies Program. You may be asked to pay a small supplementary fee for some events. Additional cultural activities are included with the Universidad Nebrija. Universidad Nebrija and AIFS organize a program of “intercambios” (conversation exchange) in which you can practice your Spanish with a native speaker while a Spanish speaker practices their English with you! ¡Hola! My name is Bárbara Franconi and I have been working with international students from all over the world since 2005 as a Spanish teacher and cultural immersion coach. I have been AIFS Resident Director since 2013. I have a degree in Spanish and Literature, a Masters in Applied Linguistics in teaching Spanish as a second language and currently I'm doing my PhD. I have studied abroad twice, so I know how challenging and wonderful it is to immerse yourself in a new culture and a new language. Undoubtedly, it is an enriching experience for life that allows you to develop both professional and personal aspects and that is why it a pleasure and a goal for me to help the students to get the best from their studies abroad. I have been a student at Universidad de Nebrija so I will love to show you and share with you the academic life in the campus. Madrid is an amazing city with a huge cultural life. There is always something new to discover. 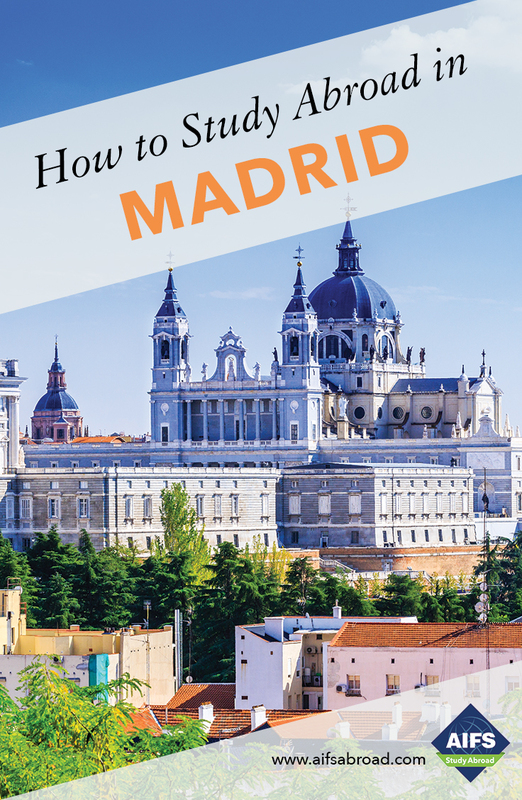 I will organize a variety of cultural activities for you to explore and get involved in the different things that the city offers such as visiting the Barrio de las letras, Museo del Prado, the Royal Palace, the Bernabeu Stadium, or enjoy the view of the city from the Faro de Moncloa, or even having some Spanish tapas in Malasaña! I will be pleased to welcome you and assist you during your stay!